extended cafe area for casual or formal entertaining. The gourmet kitchen includes quartz counters with a custom backsplash along with a built in oven microwave tower. The builder has included tray ceilings in the owner's suite, family room and study. All finishes and colors were selected by a Professional Designer and feature the latest in styles, color schemes and trends. Final new home in Moses Creek Estates. 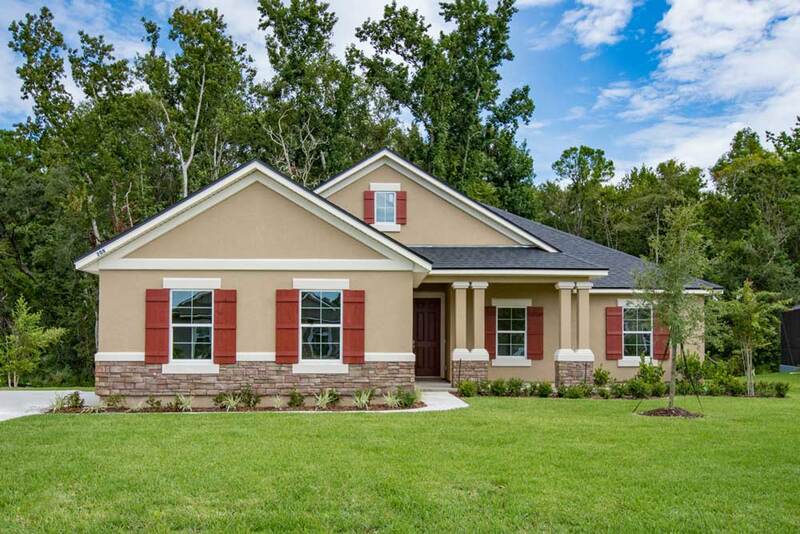 Encore Homes of North Florida is a locally-owned home building company founded by Dennis Ginder, a well known leader and contributor to the local industry. Dennis has over 25 years of experience in the home building industry. The Encore Homes team is dedicated to providing our customers the highest level of service, quality and dedication. At Encore Homes, each of us has a strong passion for home building and customer service, and we want to make your home buying experience an incredibly memorable and enjoyable event. © 2019 Encore Homes of North Florida, LLC.